Black Bear’s Lacrosse Academy (BBLA) is for intermediate to advanced lacrosse players who are looking to take their game to the next level. 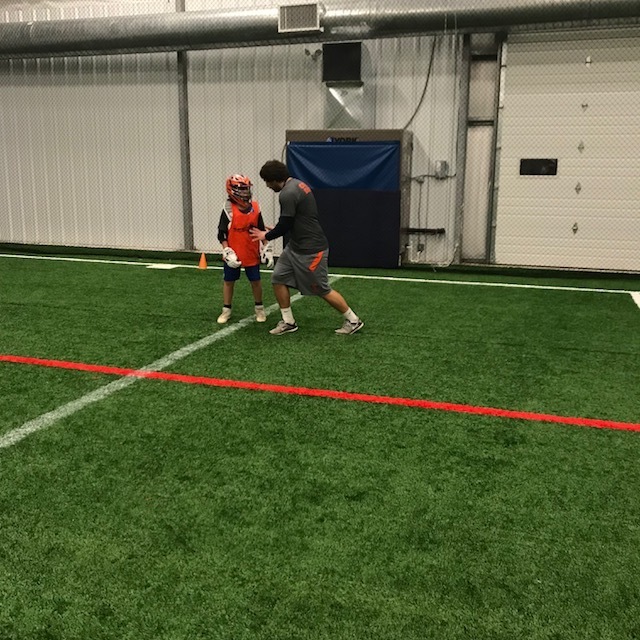 The curriculum is designed to develop a player’s fundamentals, lacrosse IQ, agility, footwork, explosiveness, and techniques in a fun/competitive environment for defensemen, attack, midfield, and goaltenders. Each session will focus on teaching position specific individual and team skills/concepts through demonstrations, repetition, and competition. The Academy program focuses on giving players quality instruction to match their passion and desire to get better through the usage of small-group and position-specific instruction designed by Director Pat Jenkins, Assistant Men’s Lacrosse Coach at Ursinus College. Our coaches believe in a quality, not quantity approach. Our goal is for players to see measurable improvement in their game. We believe that through our program every player will improve through goal-setting and quality coaching. Join The Movement, Get Better, and Rise With Us!